This is a must try dish for all mushroom lovers. The garlic and soy sauce makes the mushrooms extremely delicious and tasty. Also, the dish is loaded with iron and fiber, and the low-carbohydrate mushrooms make for a wholesome meal, when combined with a cup of rice or noodles. • Mix the corn flour in 2 tablespoon of water and soya sauce and keep aside. • Heat oil in a non-stick hawk; add chopped garlic, green chilies and sauté for a minute or two. • Add the mushrooms and sauté for 3-4 minutes. 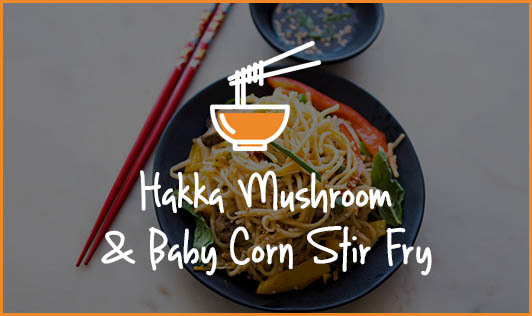 • Add the corn flour- soya mixture and sauté for 2-3 minutes till the sauce coats the mushrooms. • Season with salt and chili powder. • Add the spring onions and stir well.